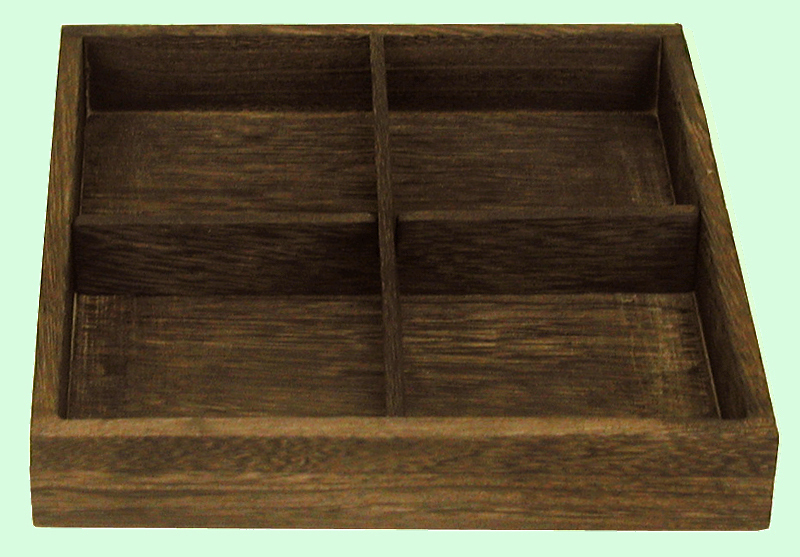 This flat wood tray is divided into four sections. It is made of balsa wood, one of the greenest wood on earth. It is finished in our newly created dark burnt technique. The dimensions are 8" square, and 1-1/4" tall.